For those of us in Britain and Ireland, Northern France is a place we often go through, not to. 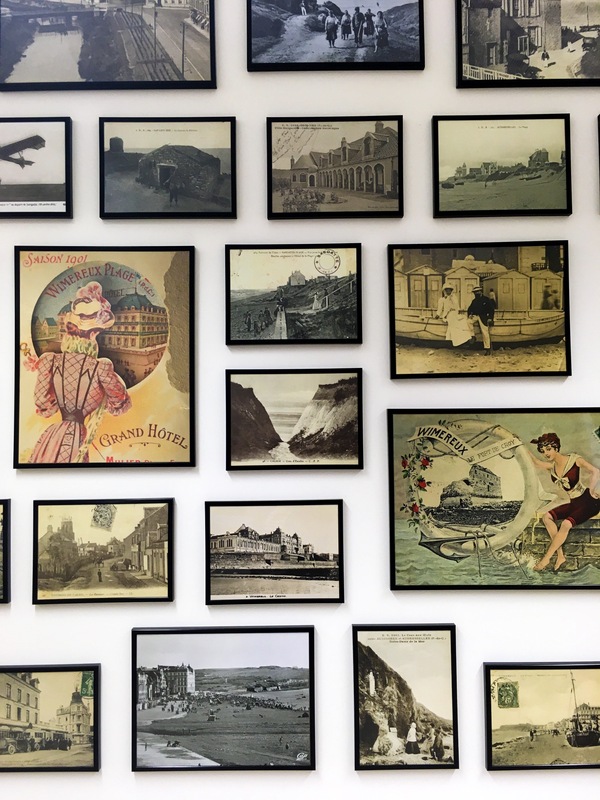 As the capital, Paris, second city, Marseille, and other major metropolitan centres (Bordeaux, Lyon, Nice, Lille) are chock-full of residents and visitors alike, we find it’s so important to look outside the box when picking destinations to visit. 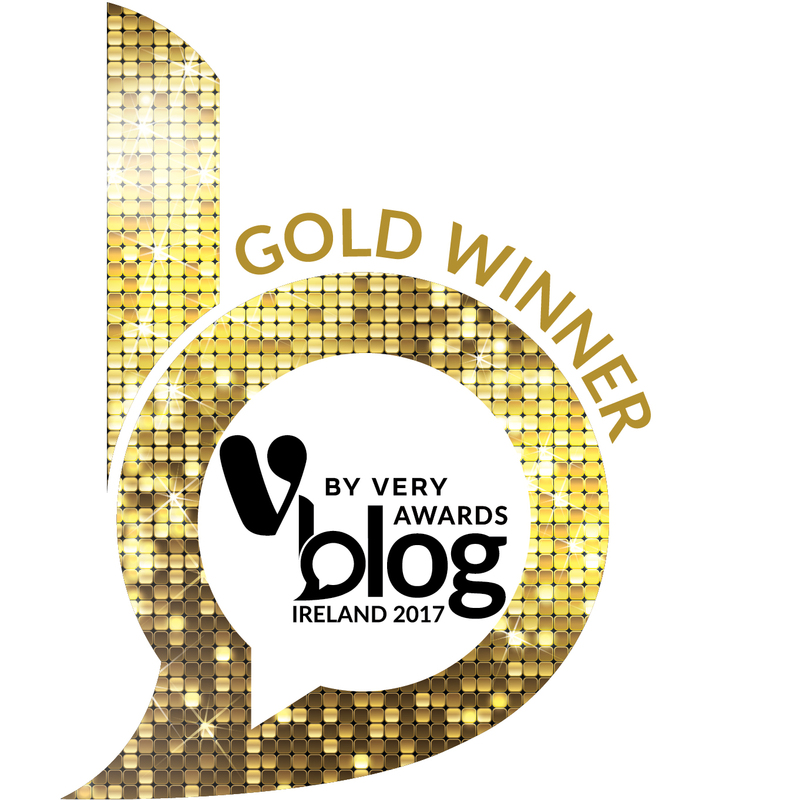 A country is so much more than its capital – something we both echo about Ireland and the UK too. 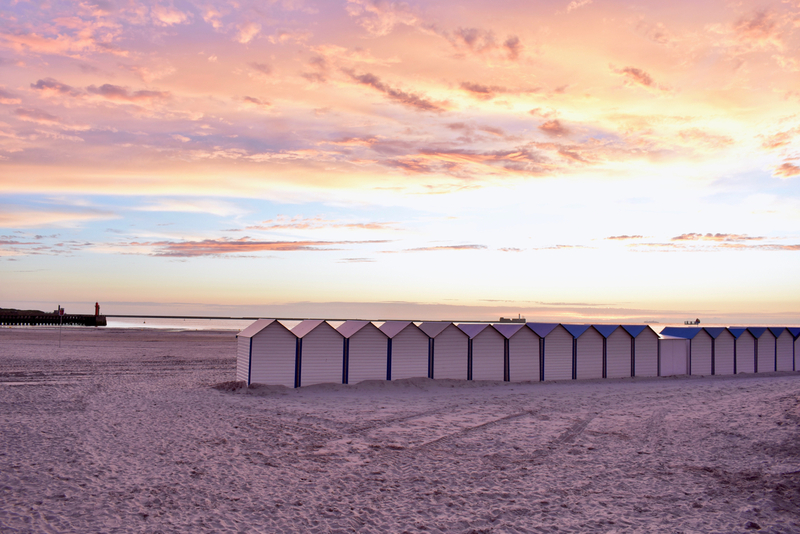 Boulogne-sur-Mer, more commonly (and simply) known as Boulogne for short, is actually closer to London than it is to Paris – geographically speaking. 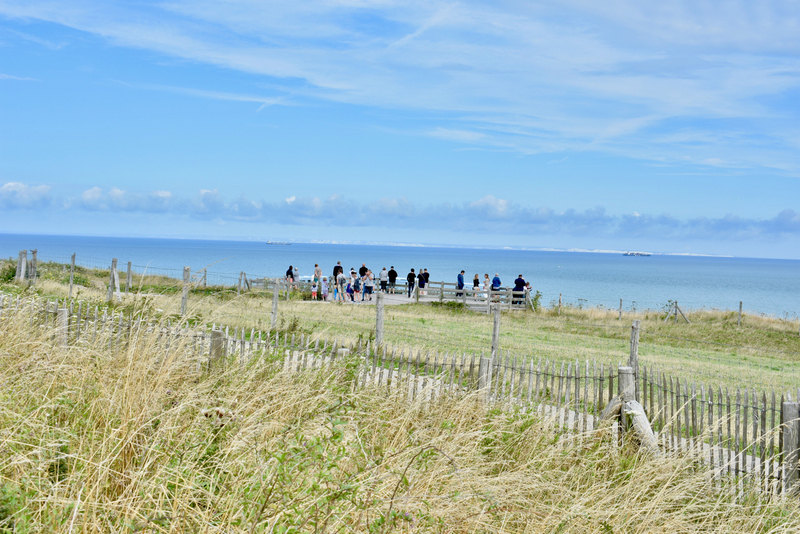 On a clear day, from the narrowest distance between the two countries atop the pointed summit of the Cap Gris Nez, you can clearly make out the White Cliffs of Dover. Obstructing the view momentarily yet consistently are passing ships and liners making way through what still remains the busiest shipping strait in the entire world. 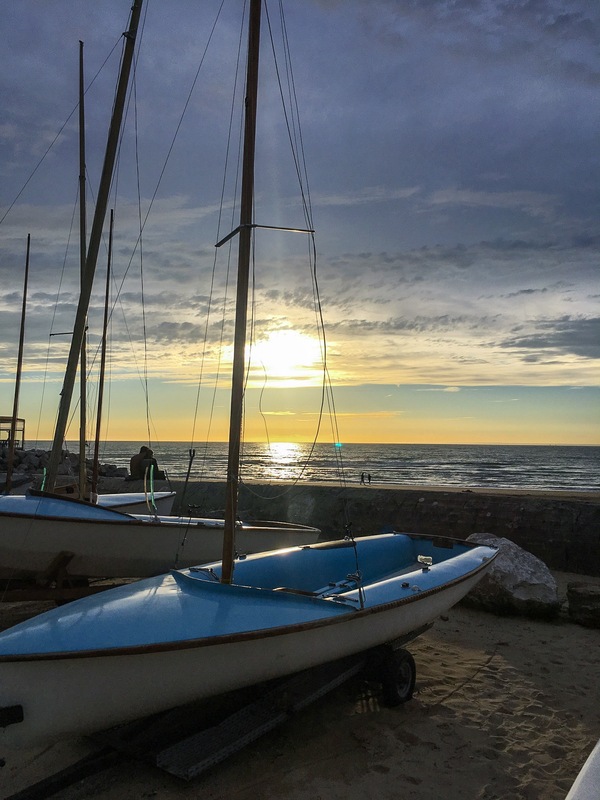 All along the Côte d’Opal you will find ‘sur-mer’ towns and villages nestled around various small ports and fishing outposts. Just like their cousins across the Channel, much of the English coastline is dotted with towns ‘on-sea’, like Southend, Leigh and Burnham. 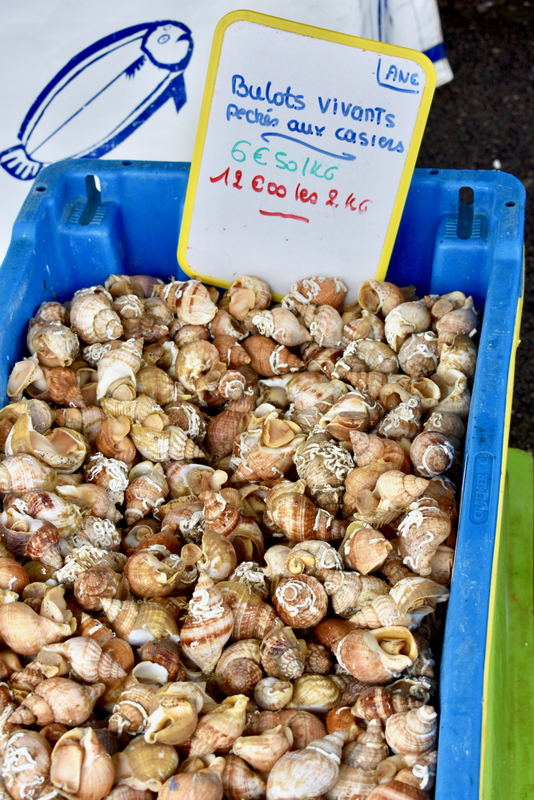 Boulogne has the prestige of being France’s largest commercial fishing port, though visitors will far quicker recognise its nearby neighbour, Calais. 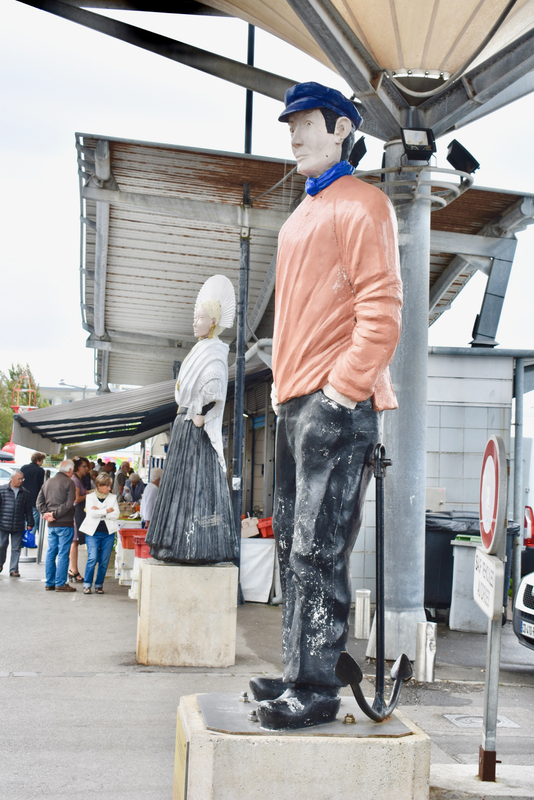 Once upon a time, passenger ferries departing Folkstone would dock in Boulogne’s harbour area, bringing streams of cars and truckloads of tourists to this small French seaside town. However now the epicentre of cross-channel traffic is 35km north, where the Channel Tunnel emerges on the Calais coast. Stretching almost the entirety of France’s northern tip, these two destination sit within the Pas-de-Calais département. 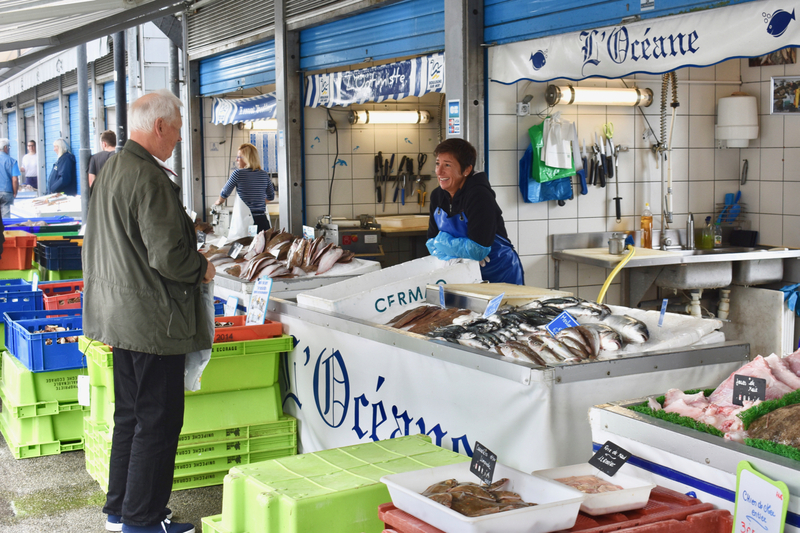 Each morning, harbour side, in Boulogne, a small but bustling local fish market stocks the catch of the day at exceptionally good prices. The fishermen, moored out back, bring the stock in from the boats before sunrise each morning. Their wives man the stalls and, naturally, take no nonsense. 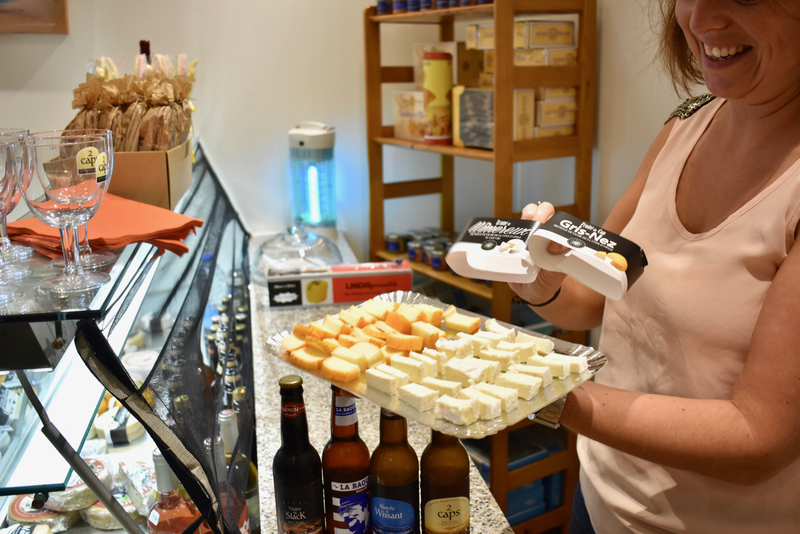 Locals have their preferences per stall, though to a tourist like ourselves, it feels like they’re all selling the same products. 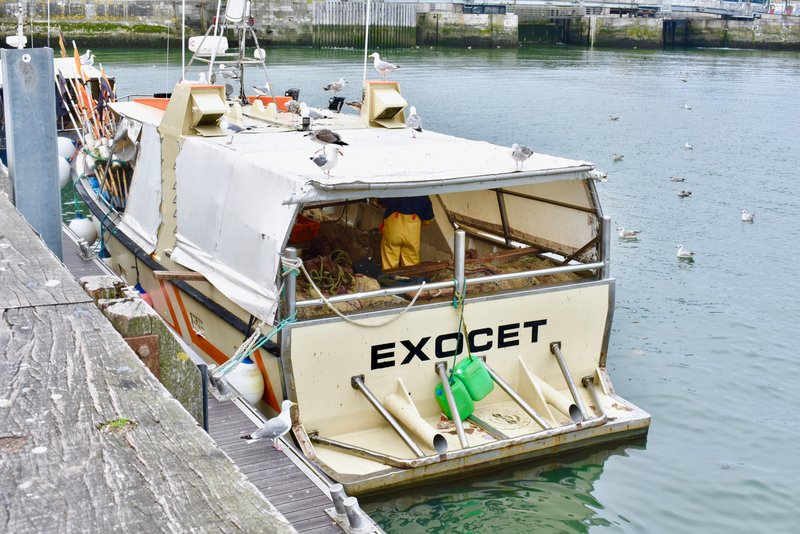 We take a sneaky peak out the back to see large trawlers, checking and sorting out the catch; chucking the fish that doesn’t comply with regulations back into the water. Some manage to swim away, others land right in the beaks of awaiting seagulls. 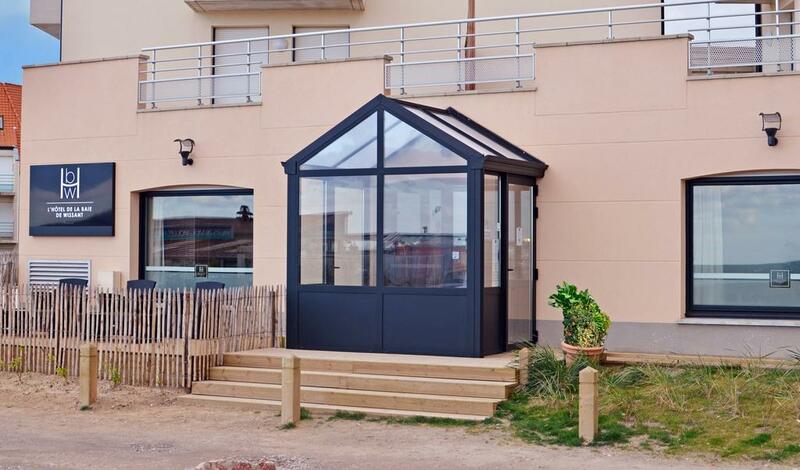 We based ourselves in the sleepy seaside town of Wissant, a 20 minute drive from Boulogne along the A16, at the Hotel de la Baie. A small, independent, boutique hotel right on the beach, it offers 16 rooms, nine of which are beach-facing with shared private terrace, and even includes its own mini spa and hammam. There’s a great breakfast spread in the recently-renovated dining room and there’s ample free parking too. This was the perfect little spot to enjoy the serenity of a seaside stay whilst also being in the heart of the Deux Caps region. 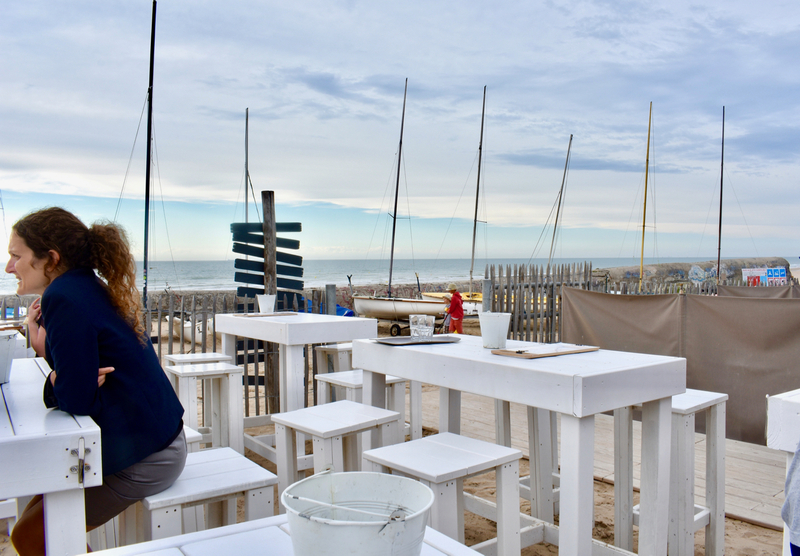 There’s also a fabulous seafood shack restaurant and bar literally less than a stone’s throw away, simply called La Plage (or its full title La Bar de la Plage, ‘the beach bar’). 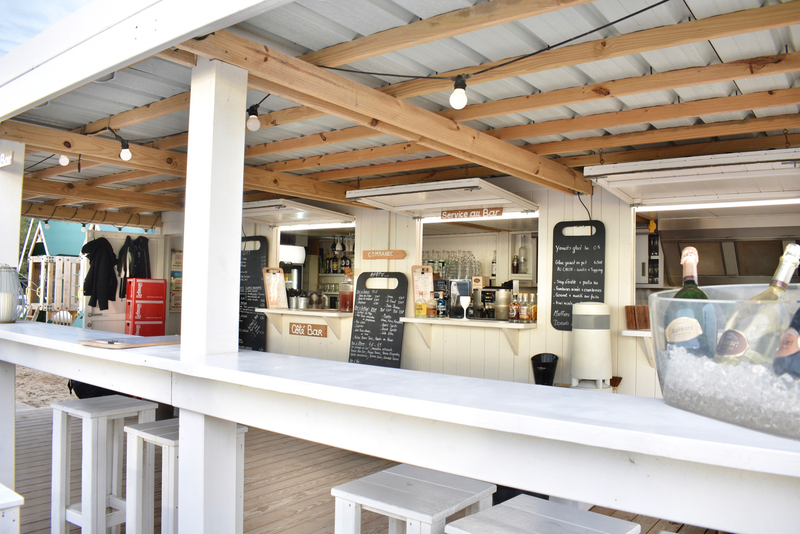 An exceptionally beautiful spot on the quiet beach, especially at sunset, where you can enjoy flowing drinks and a seafood feast. 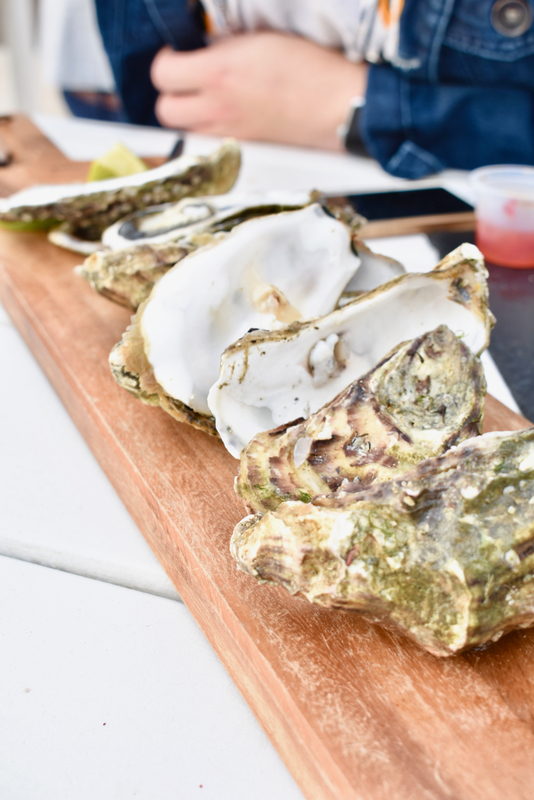 We ordered their prawn and squid boards as well as a couple of oysters each alongside a glass or two of white wine. On the July weekday evening we were there it was balmy with a light breeze and absolutely blissful. 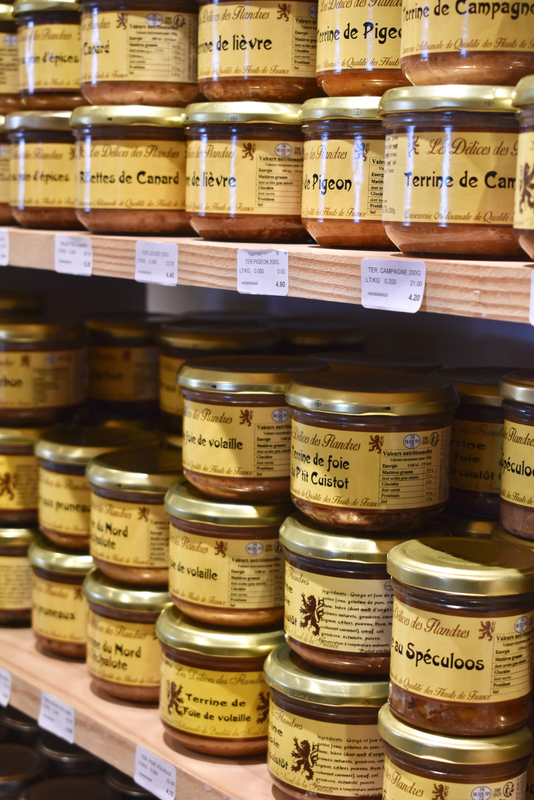 Fish is so much more than just a product to eat and a mainstay of the industry in Boulogne. 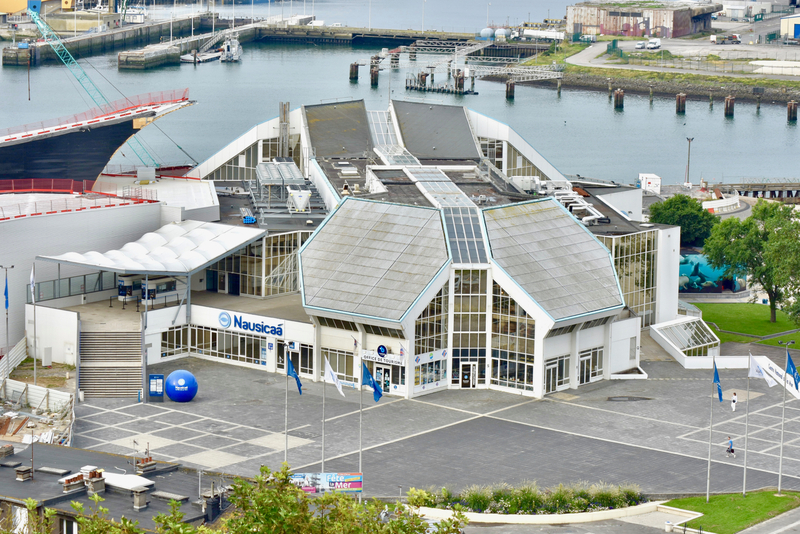 Marine and sea life are also the town’s main attraction at NAUSICAÄ – one of the largest aquariums in Europe and France’s leading marine centre – which is one of the main reasons we were visiting this part of northern France. 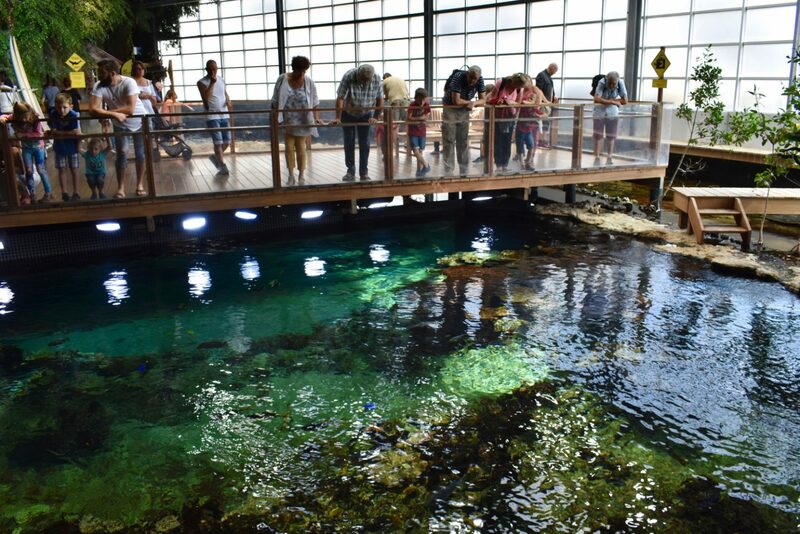 Across 15,000 square meters, over 36,000 different species of sea life are present, offering an insight to the public of the life leagues below the surface of the sea. 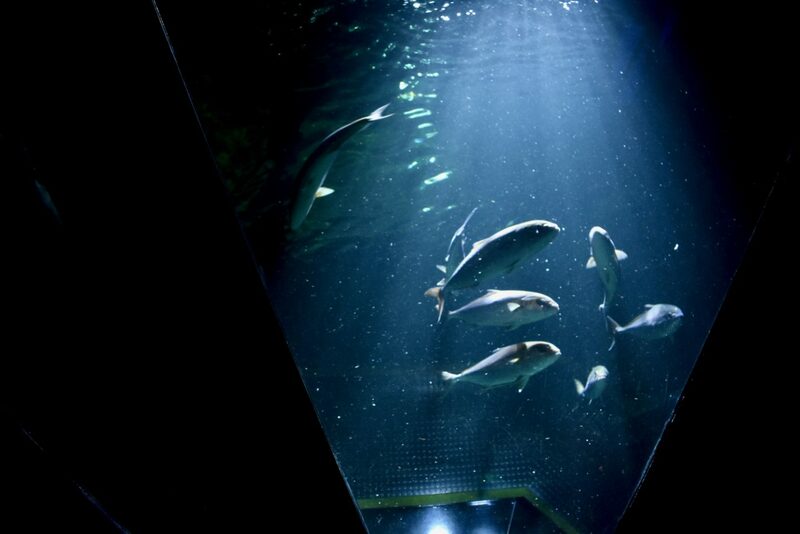 Remove every traditional thought you have about an aquarium though and open your mind because this place is so much more than you imagine it could be! 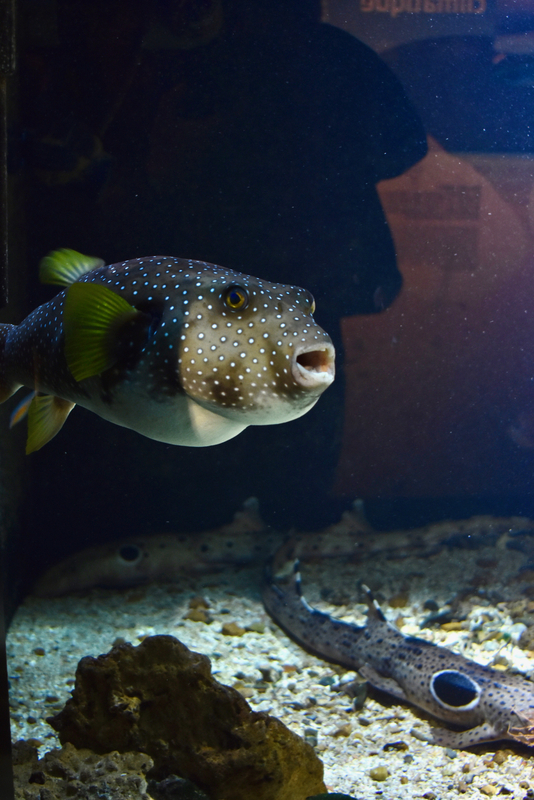 It’s far more special than your bog standard fish-behind-glass aquarium. 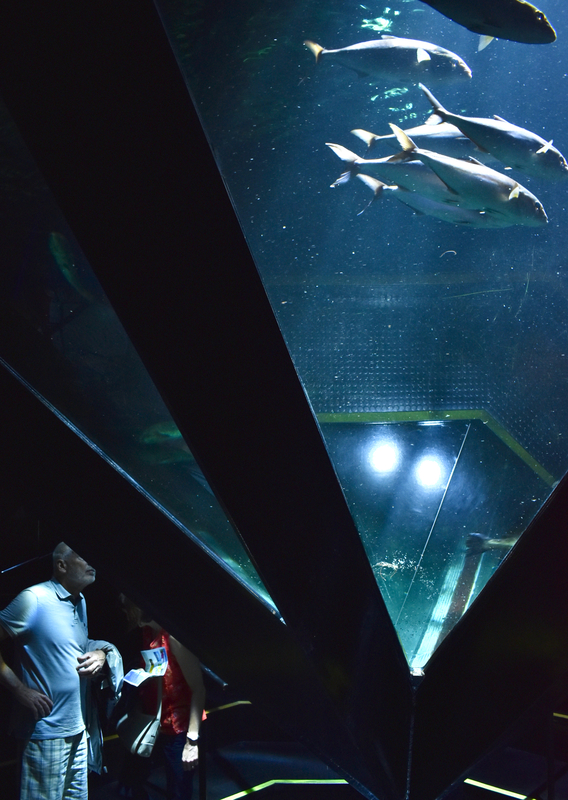 Opened in 1991, NAUSICAA (no-zee-ka) is dedicated to discovering the oceans and to raising public awareness of the need to live in harmony with the sea. 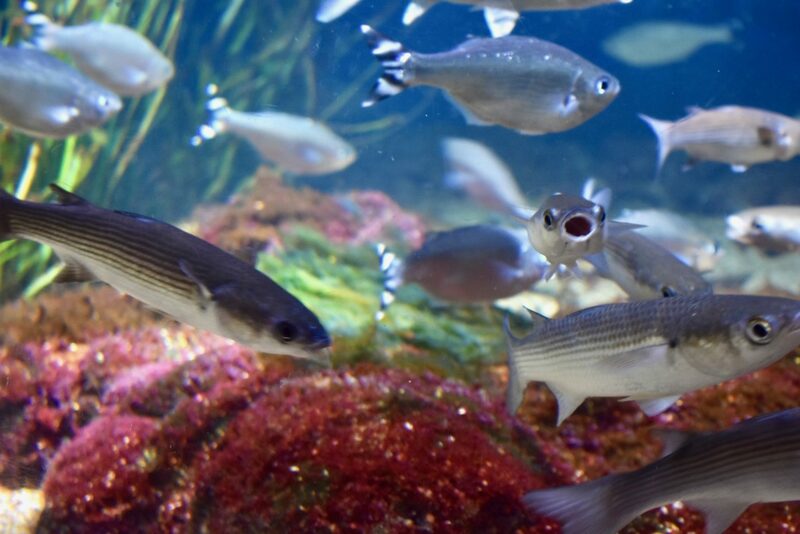 From microscopic plankton to large sharks, tiny urchins to elderly turtles, talented sea lions to adorable baby penguins, tropical islands to rocky shorelines, NAUSICAA represents all the major seas of the world in a series of incredibly interactive exhibitions housed in a state-of-the-art space. 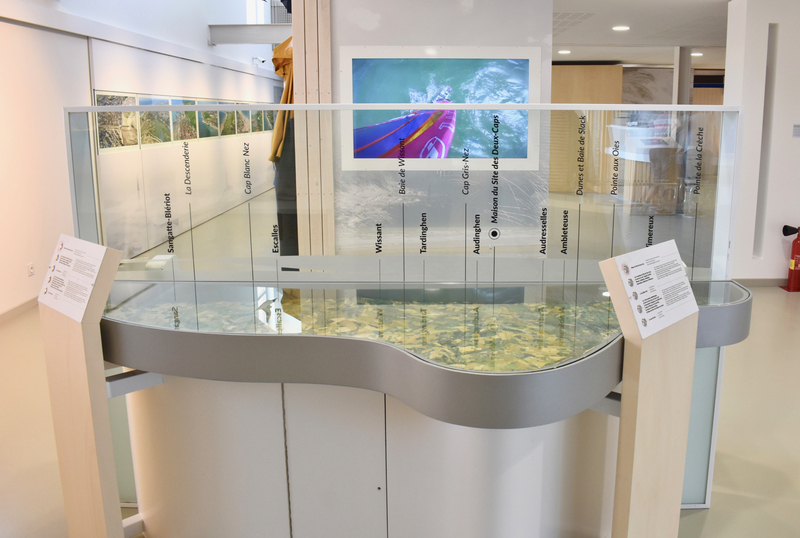 Not only is it a public amenity and tourist attraction (having welcomed over 15 million visitors in the past quarter century), but it’s also a breeding establishment, research centre, nursery and cultural forum. 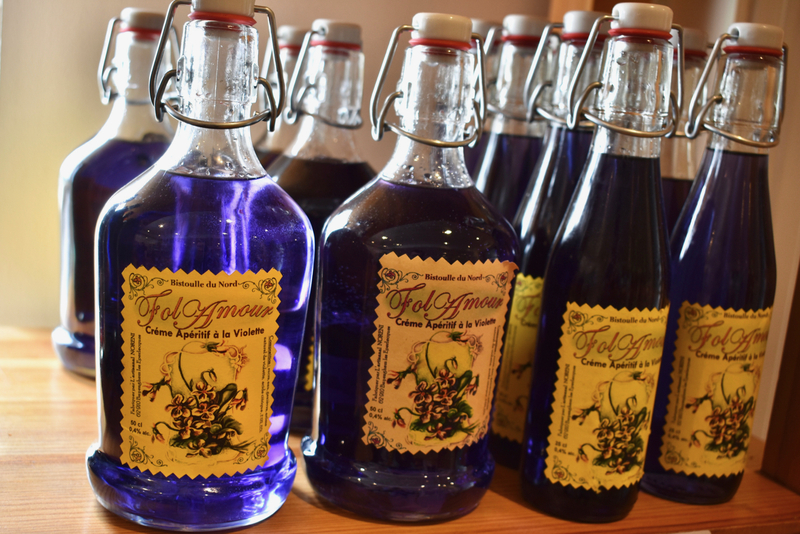 From NAUSICAA’s mission statement is this: Man is now exploiting the seas to an unprecedented level and NAUSICAA highlights the fact that the bounty is not inexhaustible. Estimates suggest that by 2020, 75% of the world’s population will live by or near the sea – a significant jump from the 50% it stands at today. The marine environment is already under severe pressure and this will increase unless we do something about it. 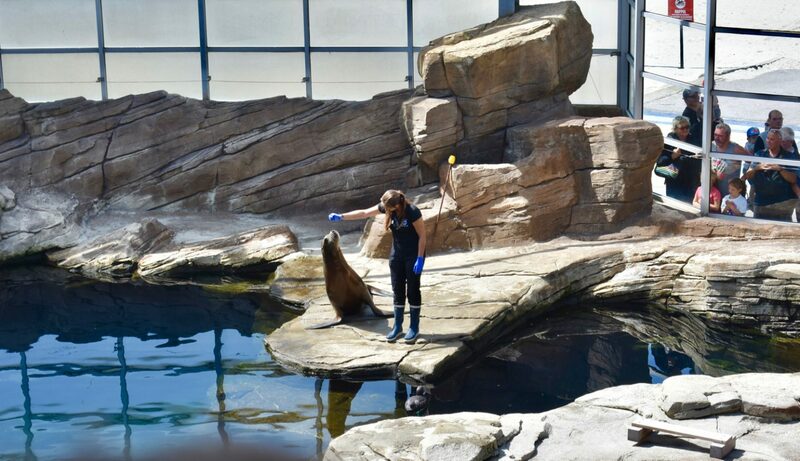 NAUSICAA wants to raise awareness of the need to manage the Oceans in a sustainable way and to encourage people to behave responsibly so that the Oceans’ beauty and its resources will be available to future generations. There is such a wide variety of things to see, that’ll be of amusement to anyone. 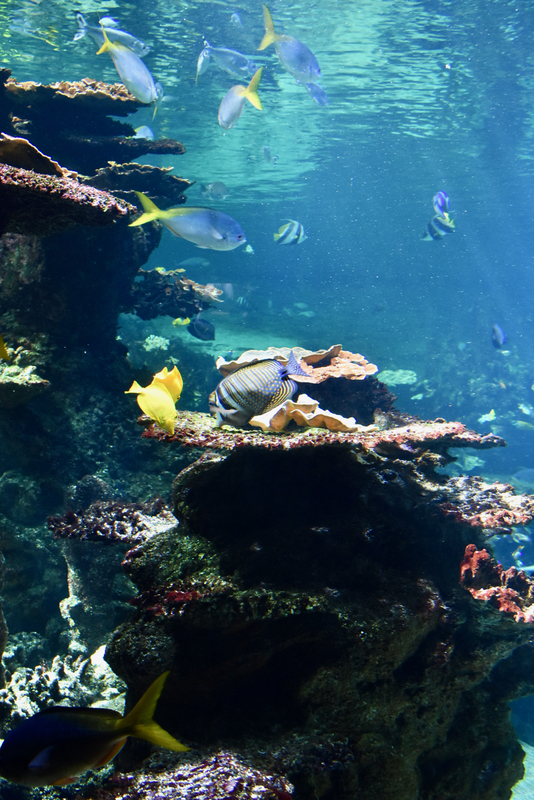 Appealing to your senses, it’s an immersive experience, bringing you from the sub-marine depths of the deep blue – soundtracked by faint whale call – to the sticky climes of the tropical rainforest. 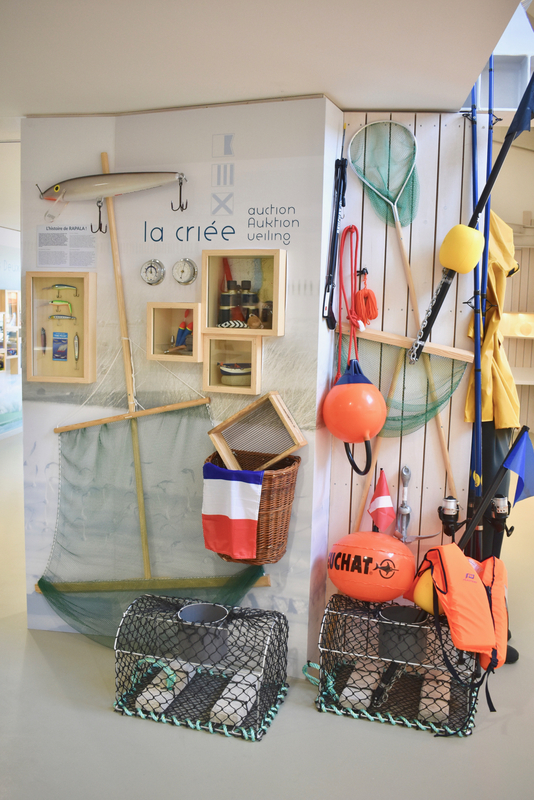 One of the newest exhibitions is climbing aboard a replica of the Thalasaa, a French research ship, in search of oceanographic research. Hear the deafening throb of the engines, witness the drag of the fishing nets, contest with crashing waves and the pitching and tossing of the bridge of the vessel as you get your sea legs ready to learn about oceanographic research. Education of all ages is the aim here, too. 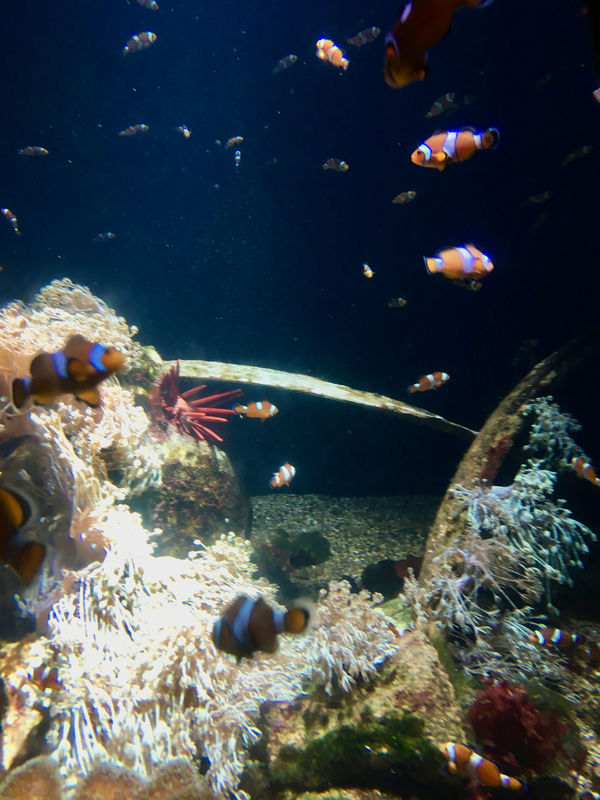 Understanding sea life, our interaction with the oceans as humans and the future issues and opportunities living in harmony with the sea will bring. 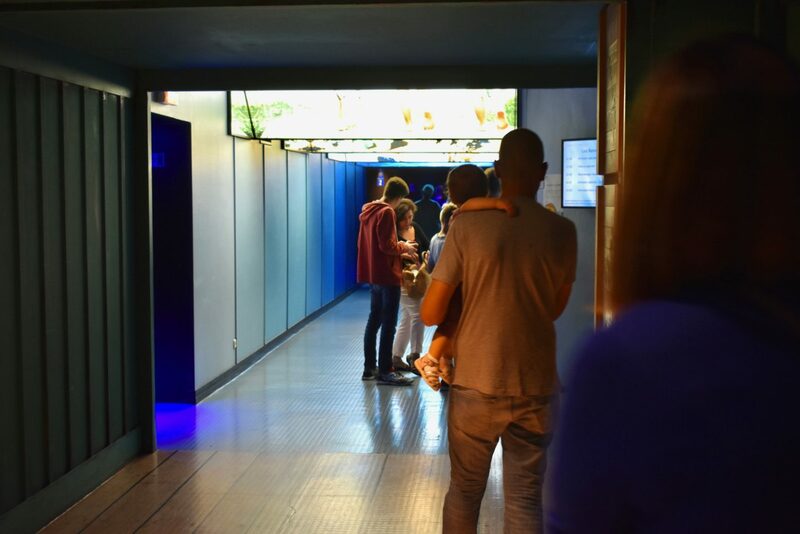 Cause and effect is demonstrated impeccably and for a more tactile understanding there’s even touch tanks and an open-air coral lagoon which features over 3,000 sea animals living harmoniously together, including the 12 species of shark. 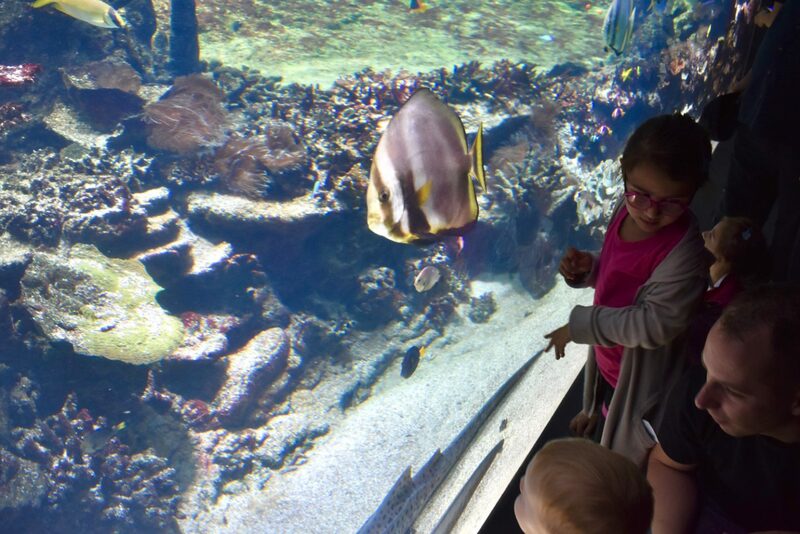 You might think aquariums are designed with kids in mind, but trust us, every single person who visits will come away having learned something and thoroughly enjoyed themselves. 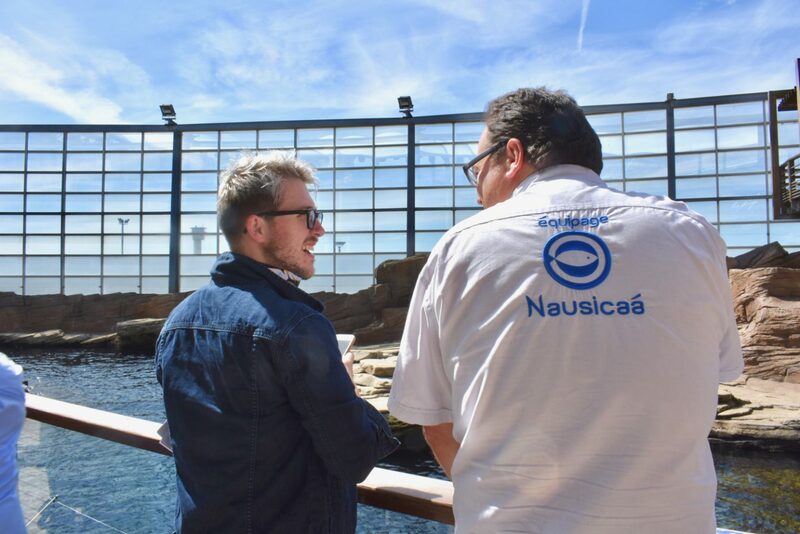 Finally, Mr. GoodFish is the programme the centre supports which encourages the need for sustainable consumption of seafood. 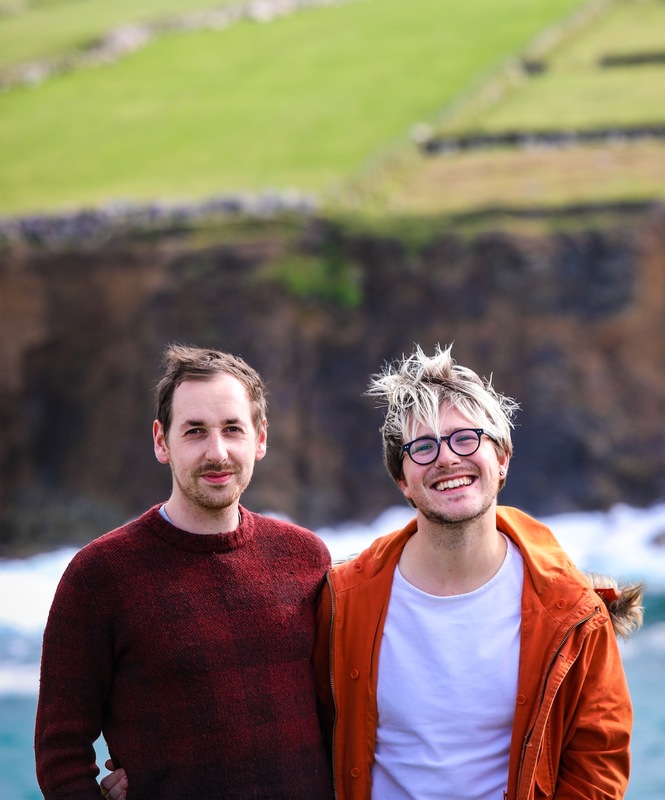 Introduced by the World Ocean Network in 2010, it aims to bridge the gap between the fishing industry and consumers of seafood to ensure sustainability in fish stocks for future generations. 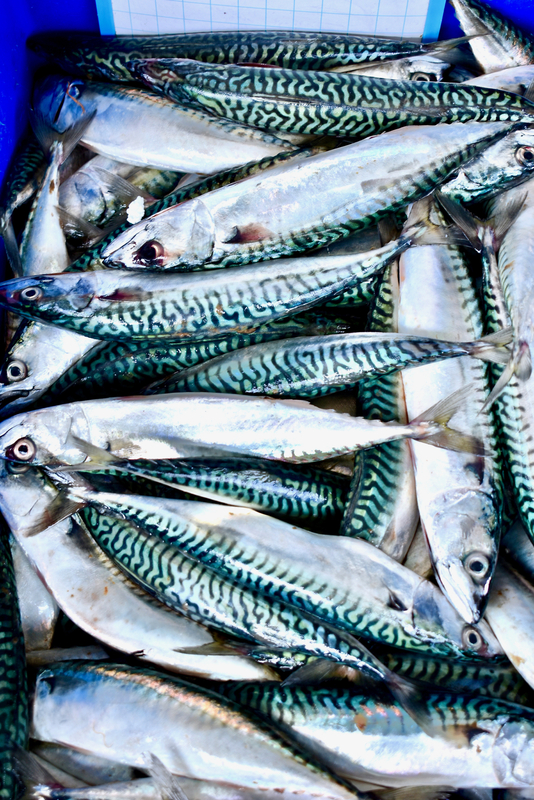 Around Europe, in restaurants and fishmongers, look for the blue ‘OK’ Mr. Goodfish logo to help support fish stocks which are not under pressure of collapsing and disappearing. Basically, we should all be making a serious and conscious effort to eat what is in season and what is plentiful. This type of sustainability makes total sense. Our social media posts were dominated by comments, mostly from followers in Britain saying that they were brought to NAUSSICA for school trips in years gone by. 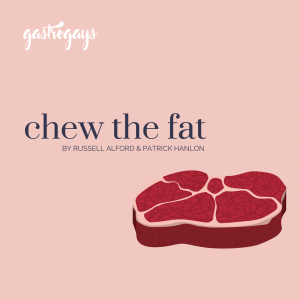 We think it’s time for others to consider a revisit! 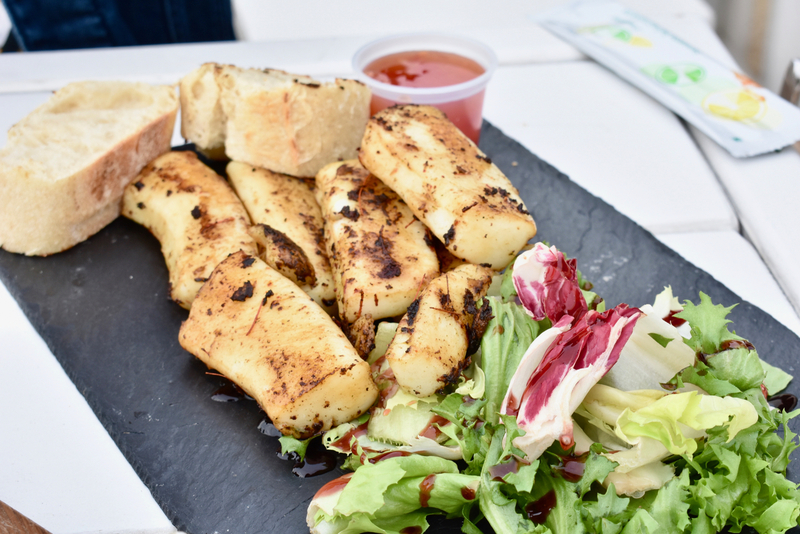 Though our time in the town was short, we managed to seek out a couple of places to eat. 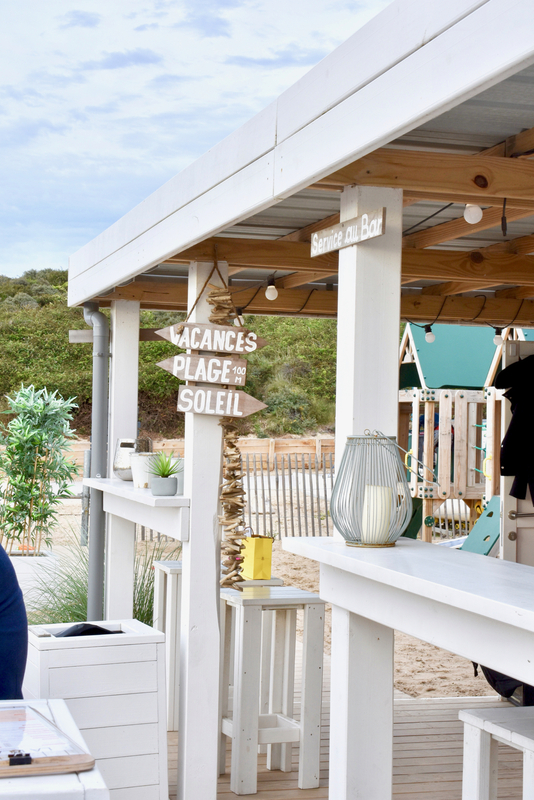 Firstly, L’îlot Vert (‘the Green Island’) offers fine dining for impressive value set within a beautiful dining room with added terrace to enjoy Chef Tony Régnier’s Bib Gourmand-awarded menu. 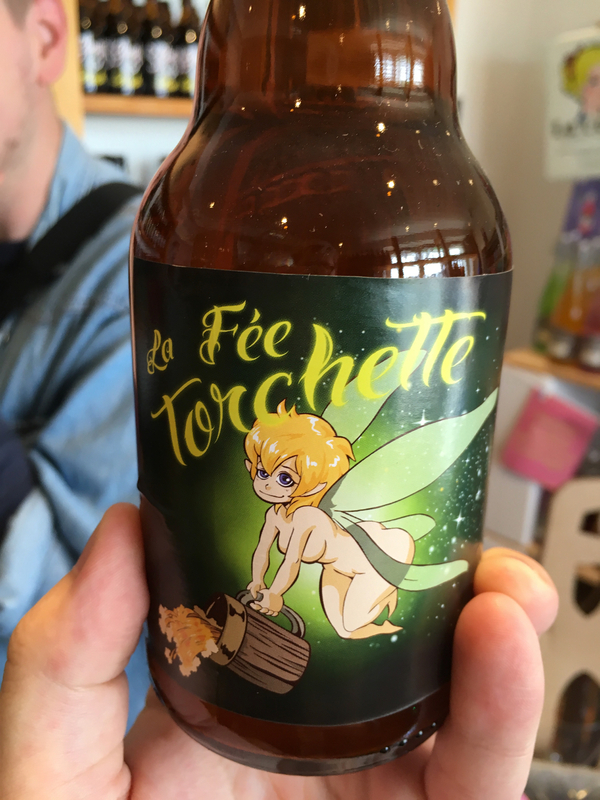 Another great restaurant is L’Etoile des Mers (‘The Star of the Seas’) celebrating the terroir of the area, the local larder and inspiration from the rich dishes of the late Middle Ages. 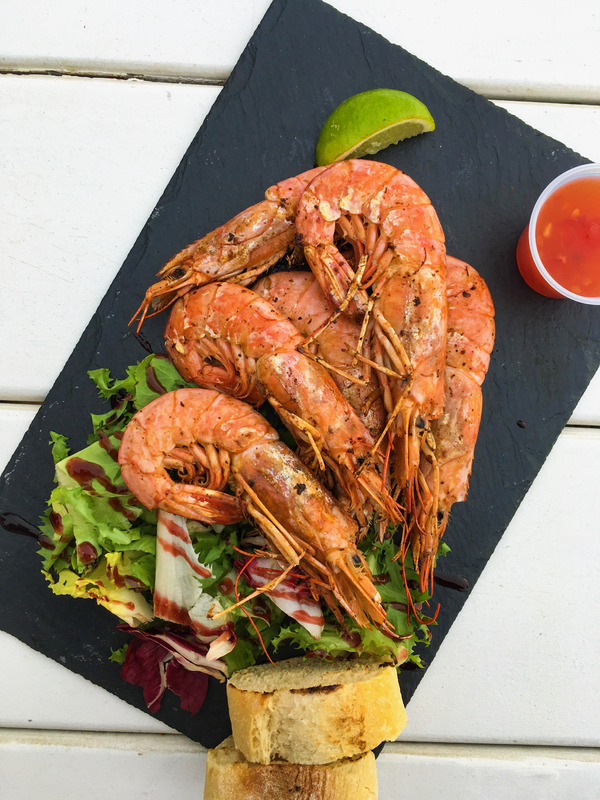 Both feature incredible fish dishes but if you’re looking for fresh seafood, look no further than Le Chatillon. 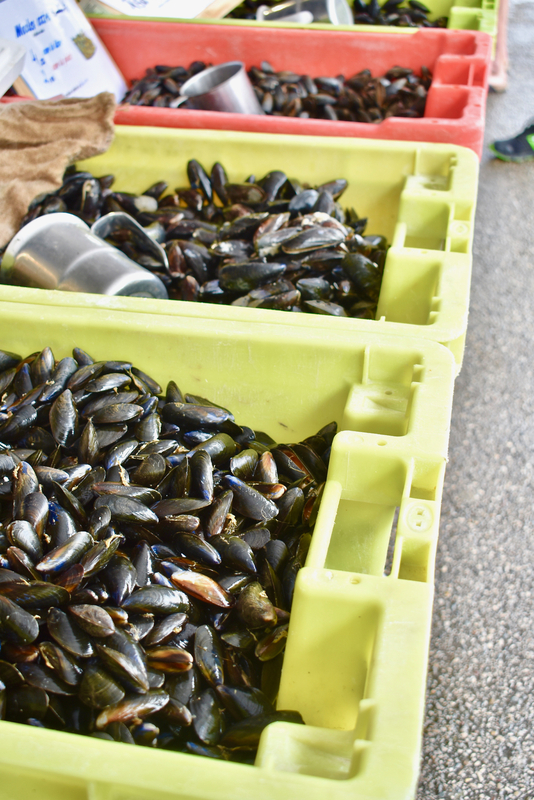 Right in the heart of the industrial shipyard, tucked away in seemingly another nondescript warehouse building is where everyone from local fisherman just off the boats to the bourgeois of Boulogne come to eat the catch of the day. An odd setting you might think, but opened in 1950 this was originally a ramshackle restaurant to feed the fisherman and factory workers (of which accounted for almost half of Boulogne’s workforce at one point). Now, it’s one of the hottest tables simply from distinction. 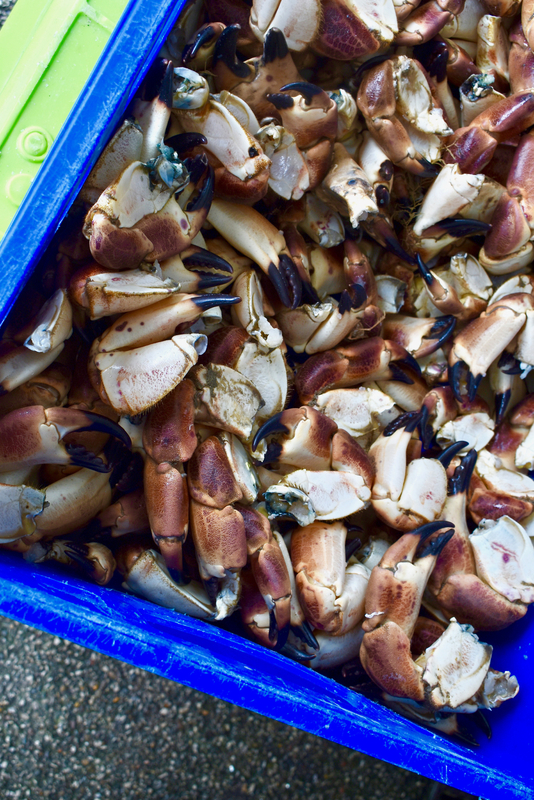 The menu is 98% fish dishes and arrive each morning straight from the boats, so you know it’s all impeccably fresh. 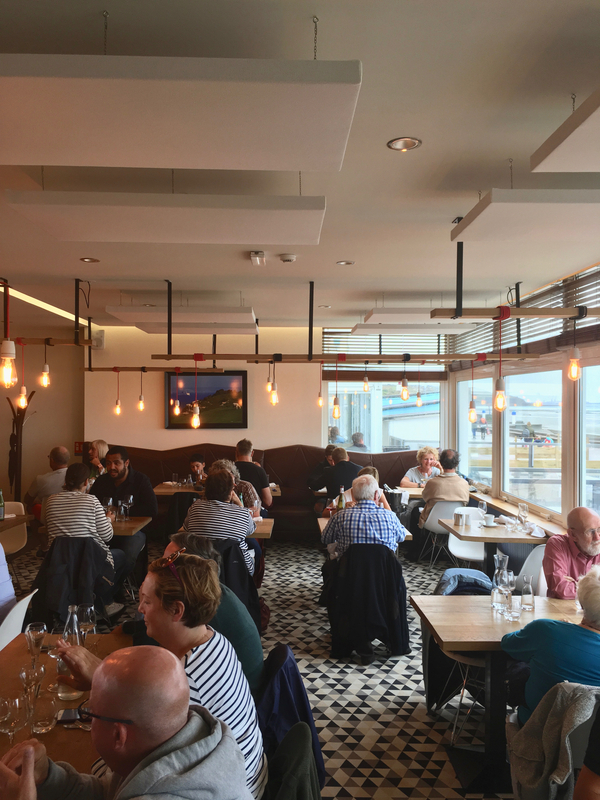 Also, in Wimereux we really enjoyed a meal at l’Aloze, the restaurant overlooking the sea set on the promenade on the ground floor of the four-star Atlantic Hotel. 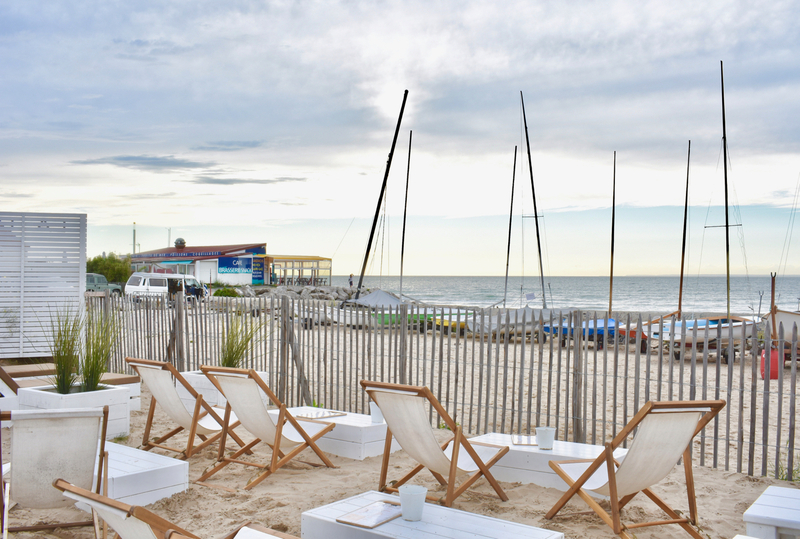 Recently renovated and furnished with lots of contemporary design details, it’s Scandi-meets-French-seaside with exceptional brasserie dishes from chefs Alain and Benjamin Delpierre. 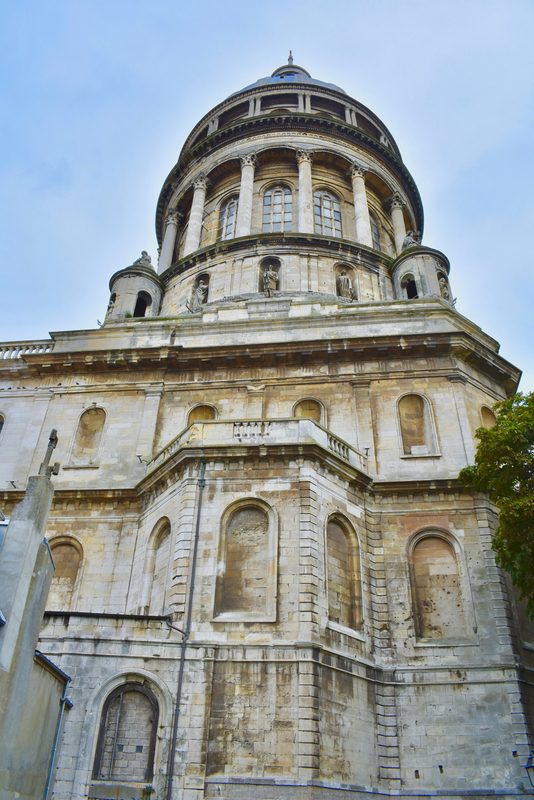 One morning, we drove outside the seaside town to explore the Grand Site des Deux Caps. The ‘Grand Sites’ of France are landscape conservation areas protected by law and remarked for their outstanding beauty, each one granted by the Minister of Ecology. 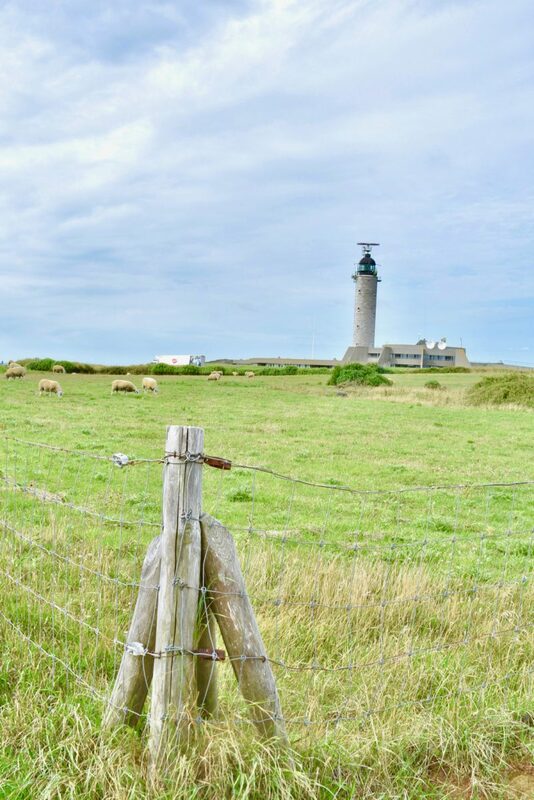 This ensures the proper management and conservation of fragile and delicate sites as well as allowing visitors to fully explore and and enjoy the natural landscapes.The Grand Site des Deux Caps is currently the northernmost ‘ Grand Site’ in France. 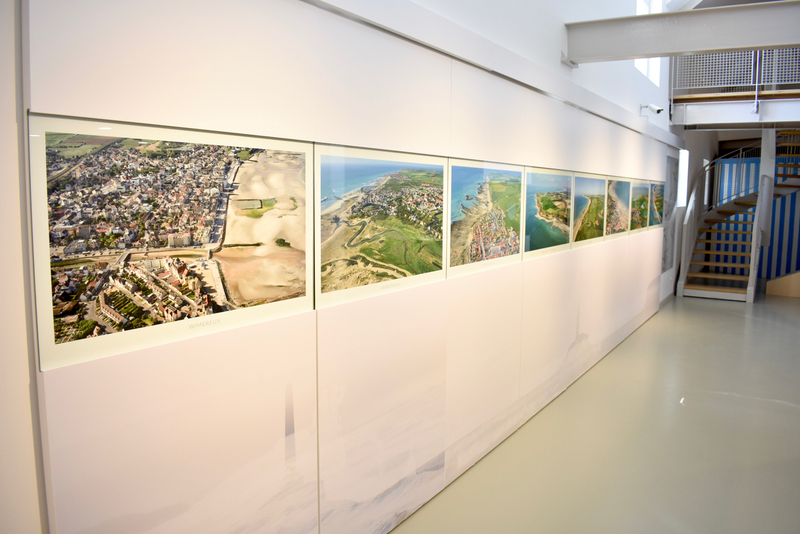 Stretching between Boulogne and Calais sit eight smaller towns and villages nestled along the coastline – Wimereux, Wissant, Ambleteuse, Audresselles, Audinghen, Tardinghen, Escalles and Sangatte – with the Cap Gris Nez at the Grand Site’s heart. 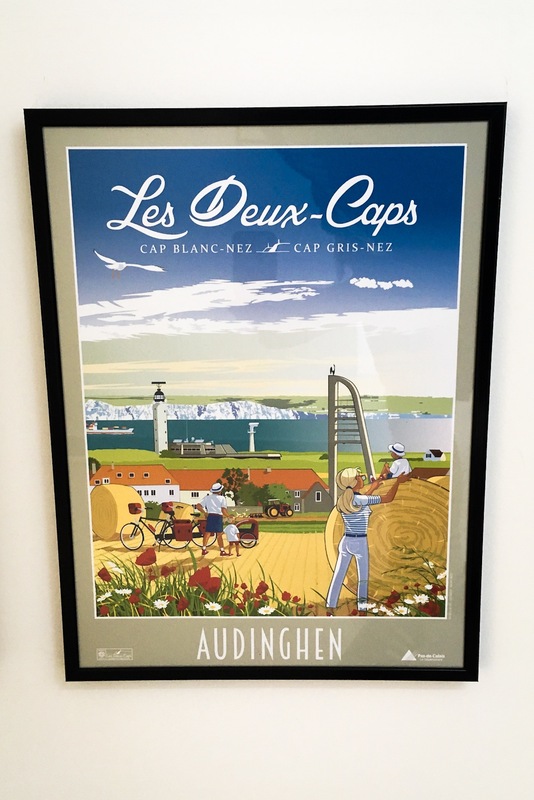 Obviously, ‘Deux Caps’ suggests a pair and a second, smaller cap, Blanc Nez sits further northwards towards Calais. If you’re wondering, the ‘blanc’ and ‘gris’ in the titles refer to the grey-coloured rockface of the Gris Nez and the white sandy beach of Blanc Nez. 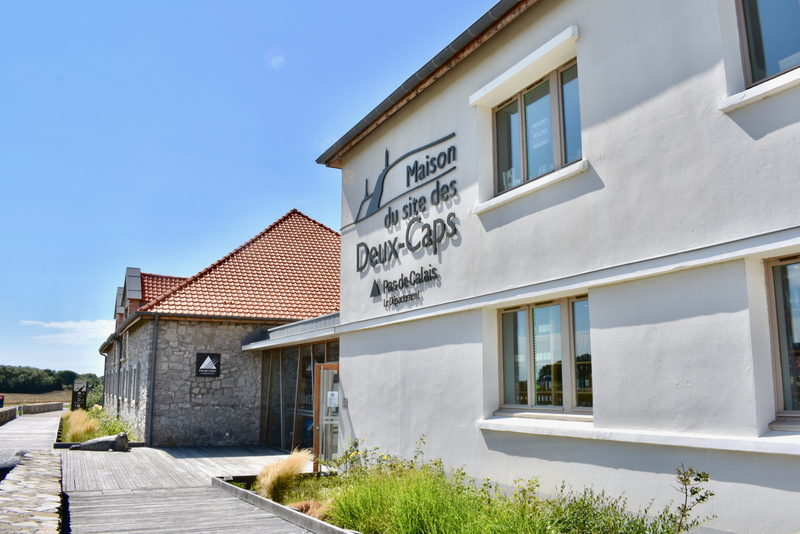 We visited the ‘Maison du Deux Caps’ which sits just outside the town of Audinghen and is a centre to explore the area from with lots of local information, a gift shop with lots of food and craft produce from the local area and an interactive exhibition about the Grand Site. 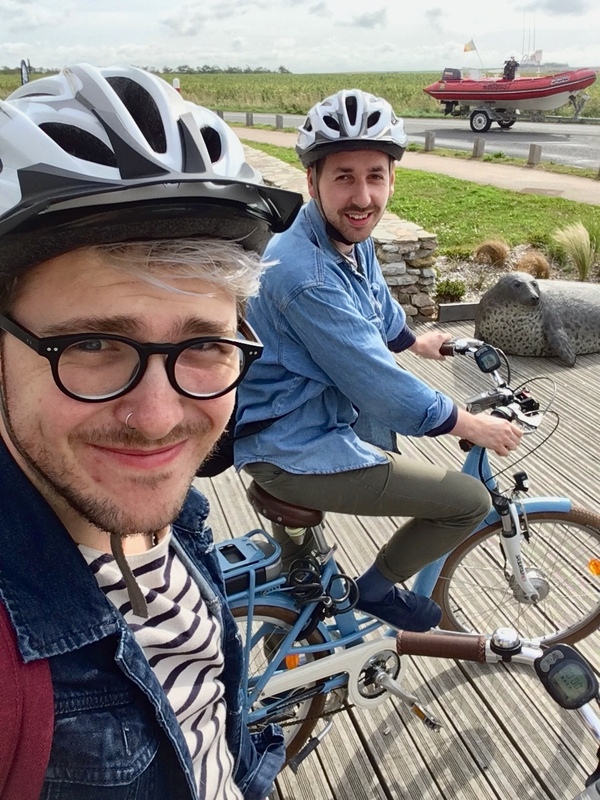 It’s well worth spending an hour or so here, and we did before we jumped on a pair of electric bikes with our wonderful guide, Rémi. 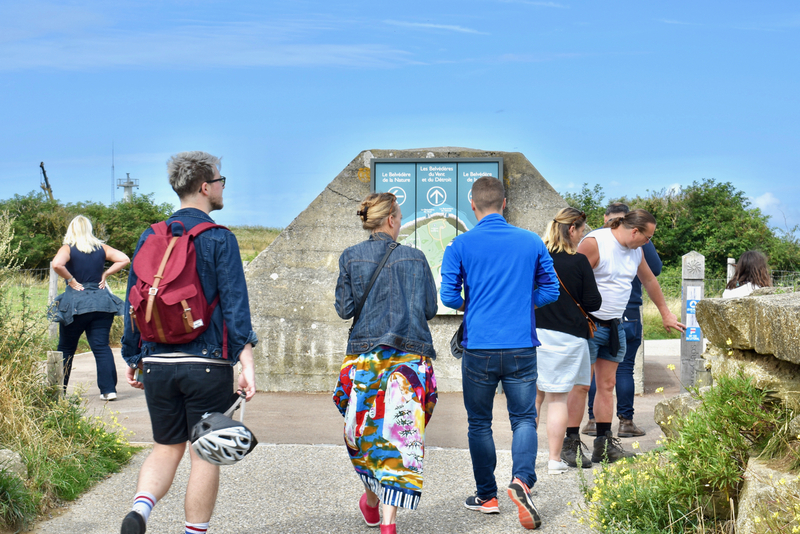 He led the way on an electrically-enhanced amble around the beauty of the region for an hour or two, up steep hills, through quaint villages, bypassing farms harvesting their crops and culminating at the top of the Gris Nez. 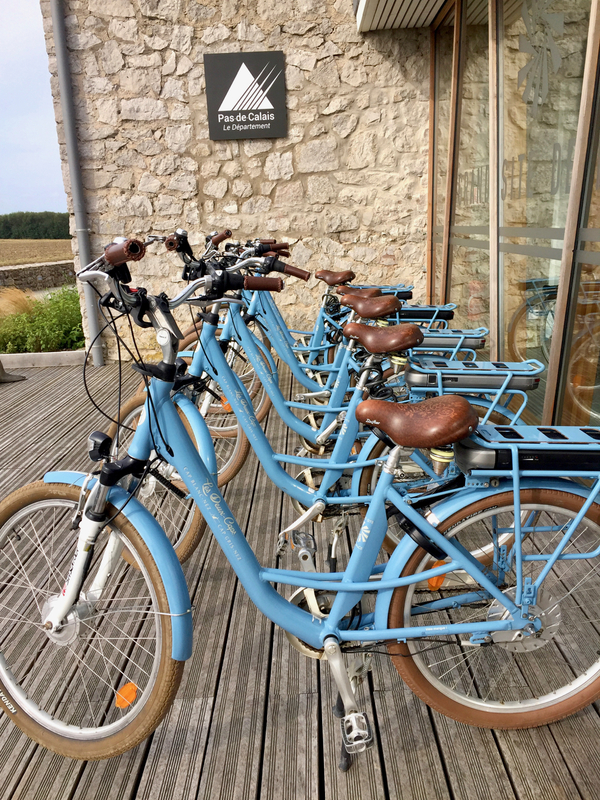 We highly recommend renting one of the e-bikes from €15 (whole day’s rental, €10 for an afternoon rental). 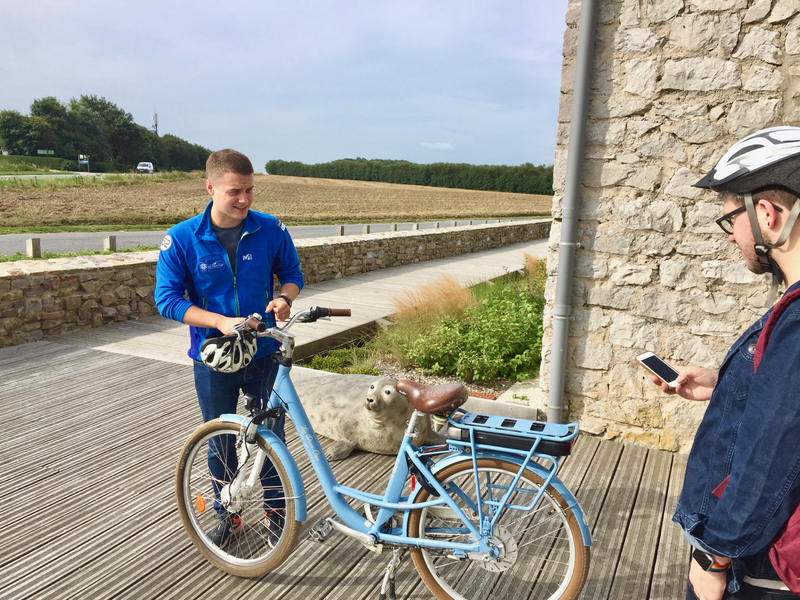 If you’ve never ridden an e-bike before, it is quite an experience to say the least and you won’t be left panting or exhausted afterwards. 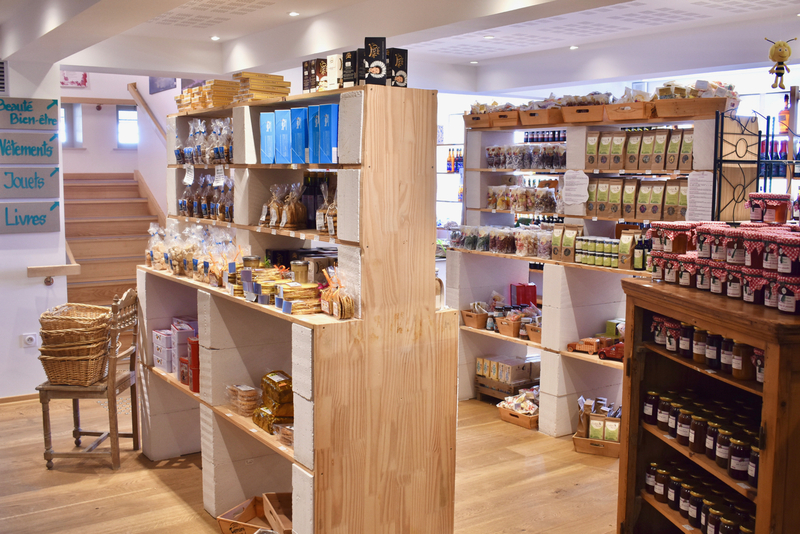 The shop, Cap Nature, attached to the Maison du Grand Site is an amazing treasure trove of local produce. 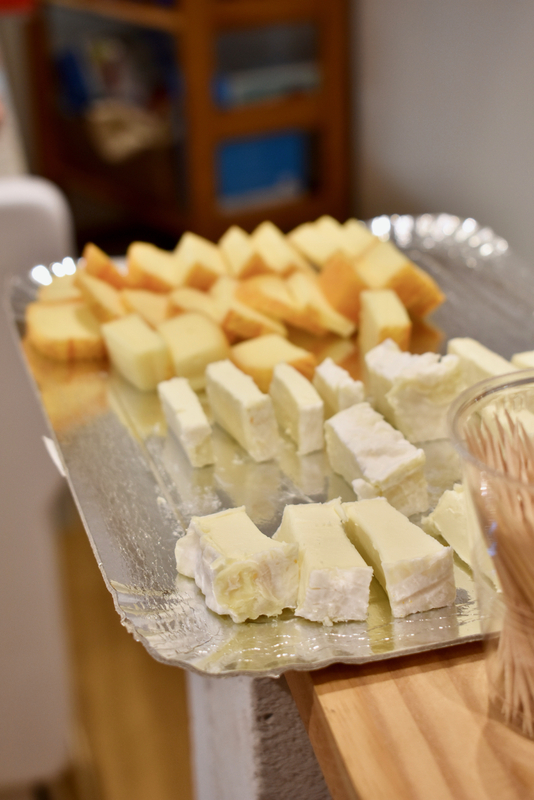 We got to try a couple of the local cheeses and beers including La Raoul and a trio of brews from 2 Caps brewery. 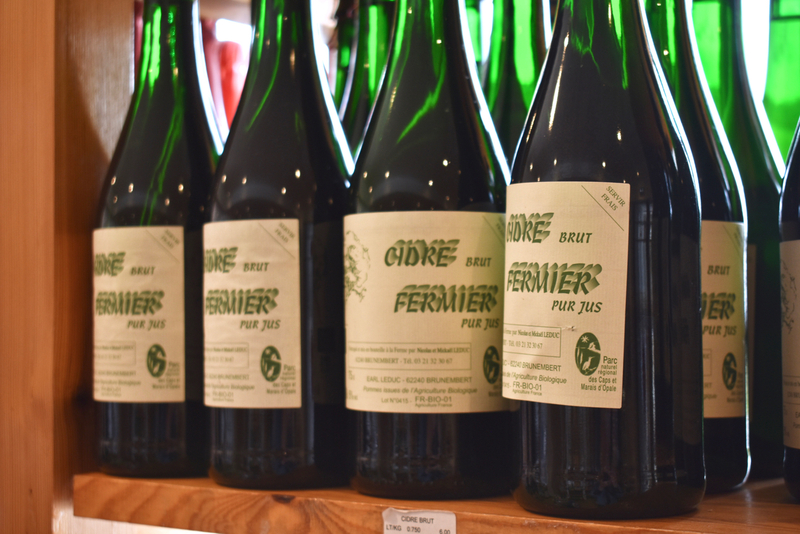 Afterwards, we headed to the town of Audinghen and had lunch at one of the most popular restaurants in the local area, Le Vent du Nord. 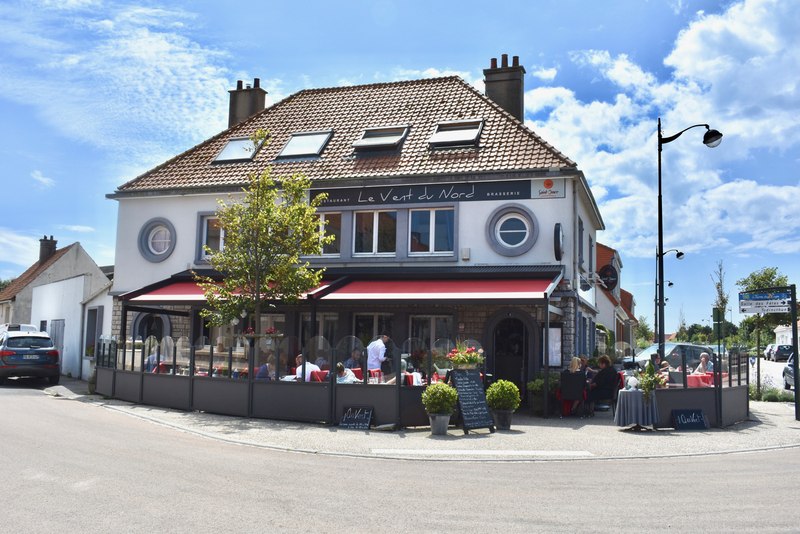 Translating as The North Wind, this busy little brasserie was the perfect place to have lunch en terrasse and we had amazing locally-caught fish dishes like cabillaud and lemon sole. Back to Boulogne, and what a fascinating history this town has. In the early 1800s, Napoleon chose Boulogne as his strategic preparation point for a would-be invasion of England, basing thousands of troops here and building up the port in his plans to attack the English. Though it never happened, the Boulogne base camp for Napoleon’s army is marked by a large statue of the leader (the largest of its kind in France) which originally looked out towards the English coastline effectively eyeing up his prize, though it was later turned inwards as a mark of respect for the British allies. 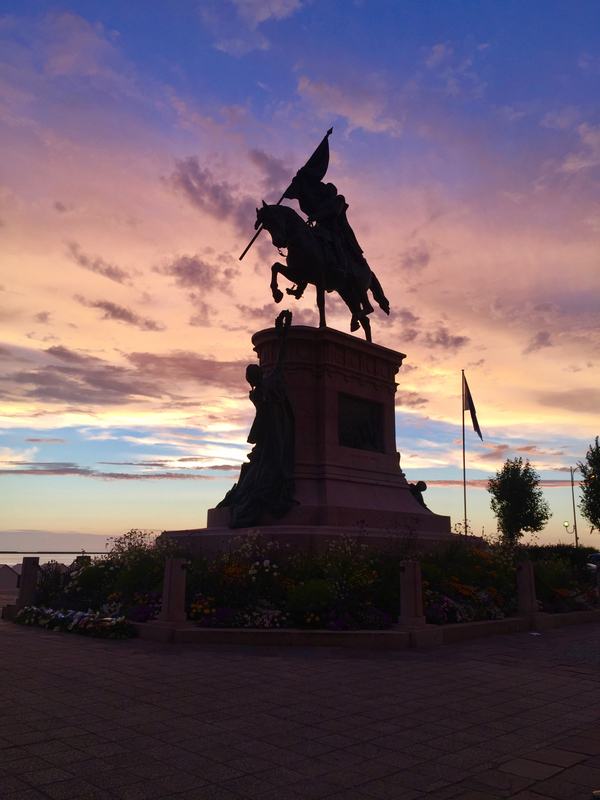 Also, Promenade San Martin is named after José de San Martín, the leader of the independence struggle in Argentina, who spent some of his final days in the town before dying in 1850. 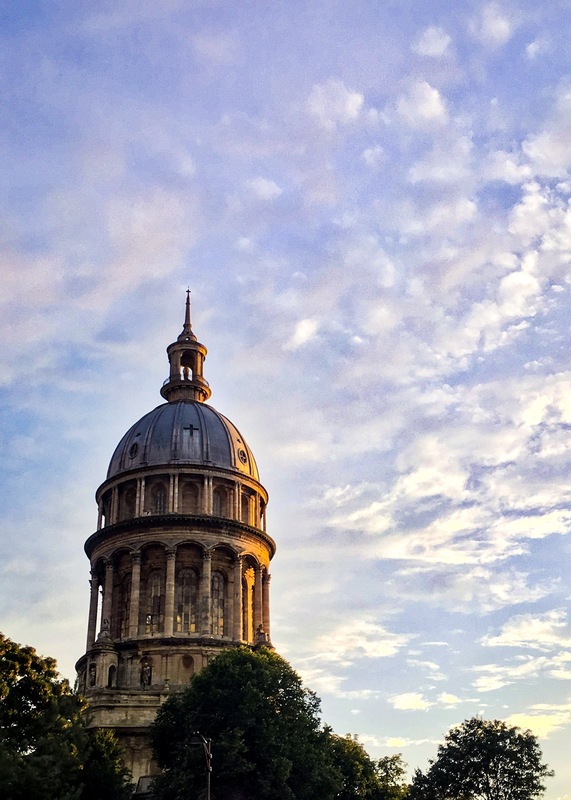 Other things to see in Boulogne include the town’s Belfry, a UNESCO World Heritage Site, and the Basilica of Notre-Dame with its 100 metre-high dome. Not quite a cathedral, it sits on the grounds of a historic church where miracles were believed to have occurred. 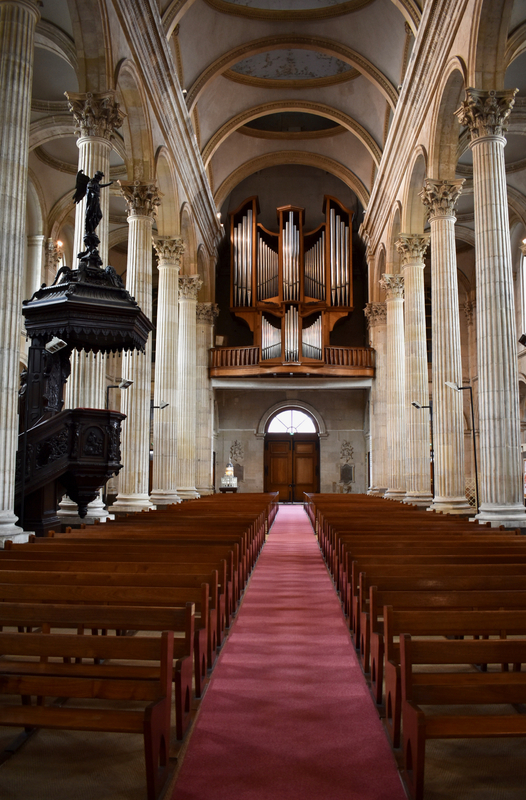 When it fell into disrepair between the 16th and 18th century, it was actually re-built by a priest and un-trained architect in the 1800s and during construction a vast crypt underneath was discovered. 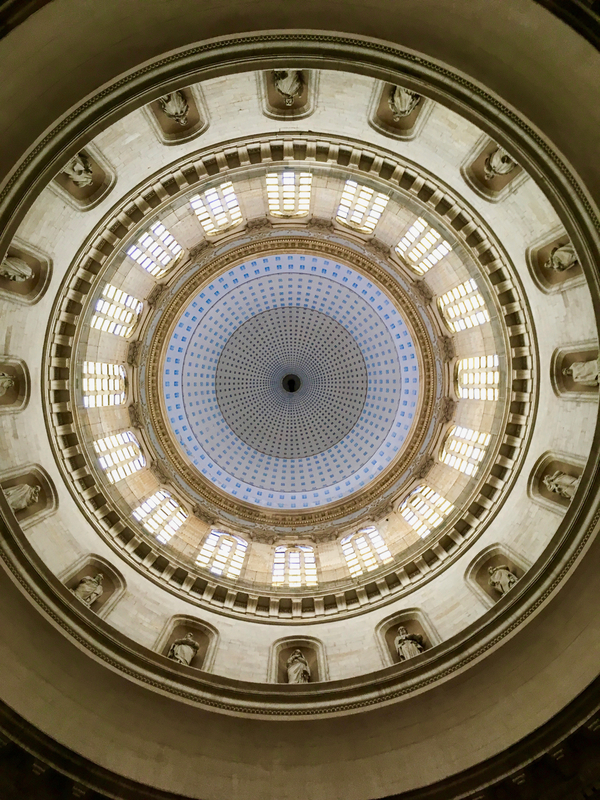 One of the largest in France, it has been restored beautifully into a visitor’s centre and is well worth a walk-through as it’s incredibly sympathetic to the original structure and contains artefacts and tombs from centuries ago. 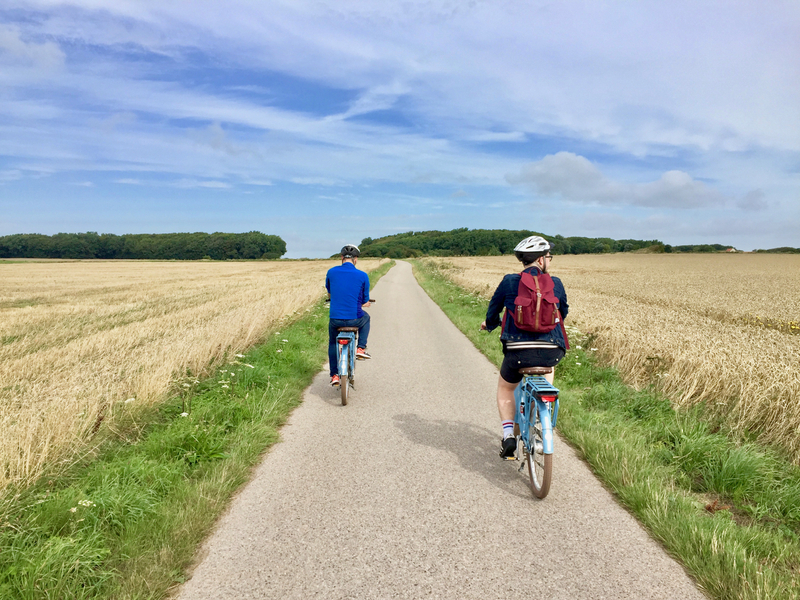 On another evening we travelled down beyond Boulogne to Montreuil-sur-Mer and had the most wonderful evening walking around the cobbled streets, circling the walled town’s perimeter and eating in one of its best restaurants. 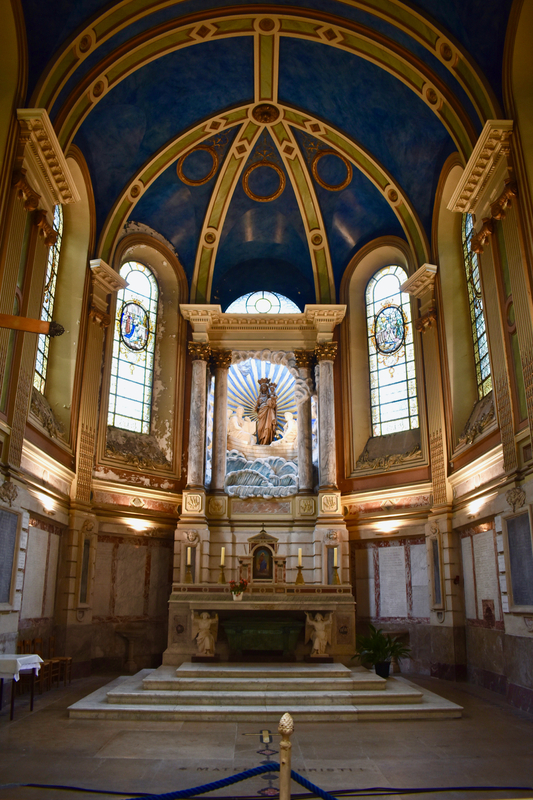 Click through to see the beauty of Montreuil, where we ate and discover the lesser-known literary history of this destination! To get to Boulogne from the UK, some Eurostar services to Brussels stop at Gare de Calais-Fréthun, and it’s a 25 minute drive away. Similarly, the port of Calais is in the vicinity. To fly, Paris Beauvais Airport is a drive of under 2 hours from the town, while Brussels Airport (Zaventem) is about 2 and a half hours by motorway. There are two train stations within the town with regional and high-speed services around France available too. 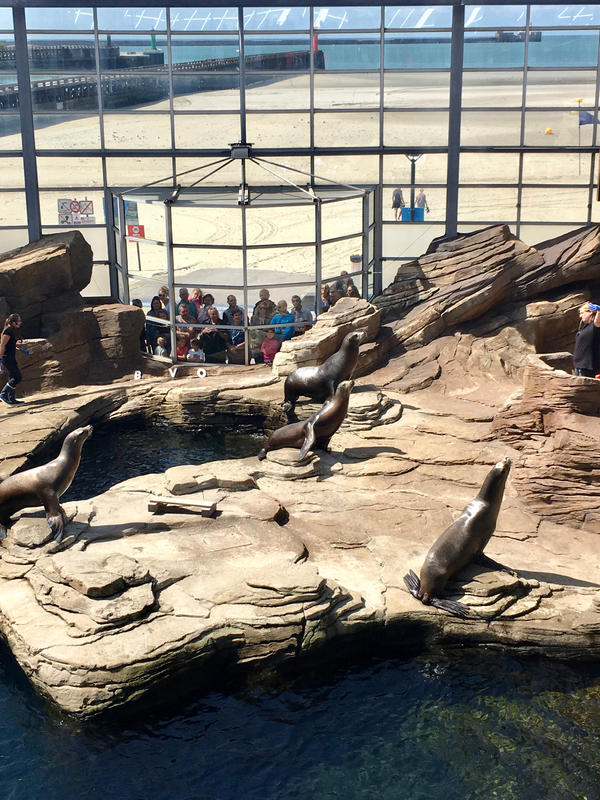 Disclaimer: We were brought to Boulogne as guests of Atout France and NAUSICAA to learn about the area and its maritime activities.